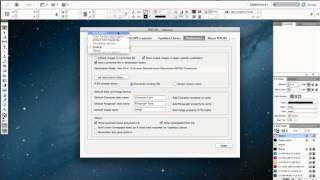 Recover Lost or Corrupt InDesign files using PDF2ID. 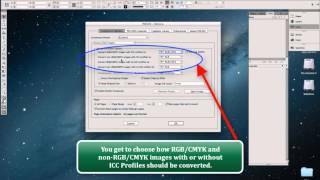 PDF2ID will convert the PDFs of the Lost or Corrupt InDesign files back to fully editable InDesign format with all the elements in place. 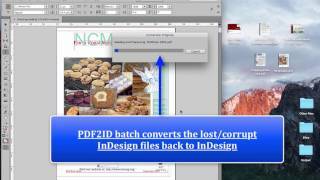 PDF2ID batch converts the PDFs back to InDesign and the resulting InDesign filles are well structured with the Layout maintained. 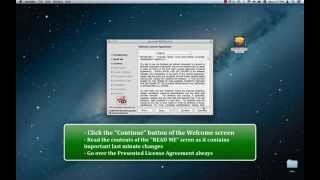 PDF2ID works on Mac and Windows and supports InDesign CS4 through InDesign CC 2017. 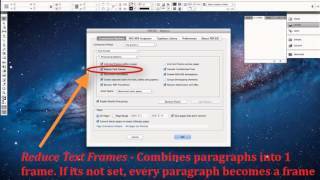 At some point in time we’ve all run into the problem of Lost InDesign files or even corrupt InDesign files; and we need to recover these lost or corrupt InDesign files. 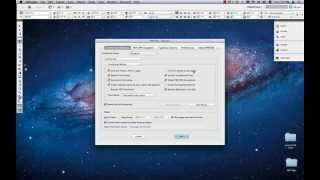 Normally, the only way to recover the corrupt or Lost InDesign files is to recreate them from scratch. Which means we spend countless hours typing, sourcing the image assets, re-creating the vector graphics and rebuilding the InDesign. Isn’t there an easier way? The good news is there is! 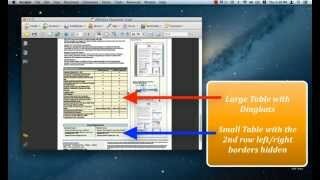 Its called PDF2ID. 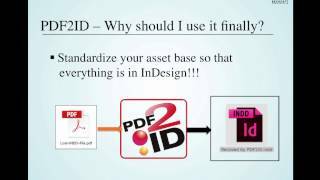 What is PDF2ID? 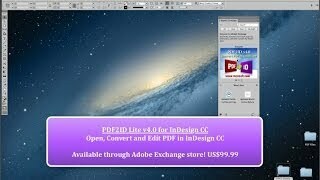 PDF2ID is an Adobe InDesign plug-in to convert PDF to InDesign files. You’re wondering how is this going to help me? 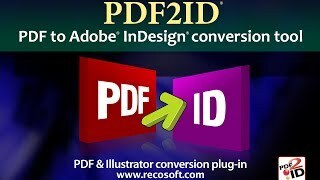 Well, if you have a PDF of the InDesign files that were lost or corrupt and you need to recover the files, you can simply use PDF2ID to Open and Convert the PDF files back to InDesign format reducing your re-creation efforts to a minimum. So let just see how this works. 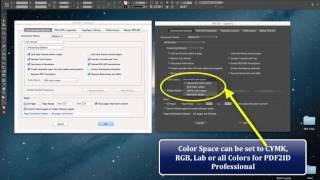 Here we have InDesign CC 2017 running . 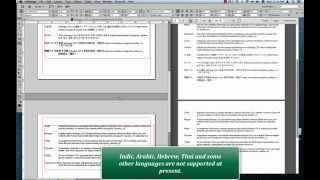 On the desktop we have a bunch of PDFs that were originally InDesign files that we need converted back to the InDesign format. 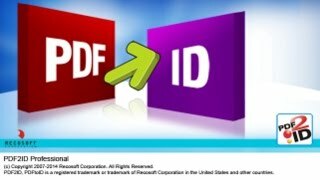 So we just click on the Recosoft menu in InDesign CC 2017 and choose the “PDF2ID – Convert PDF/XPS file” command. 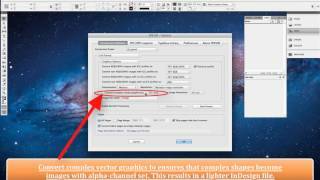 Once the PDF/XPS window appears lets select the files to recover to InDesign format. 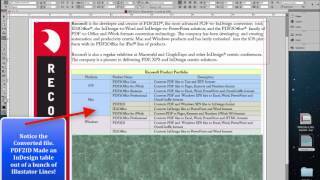 So we select these 5 files and the PDF2ID – Options window appears. 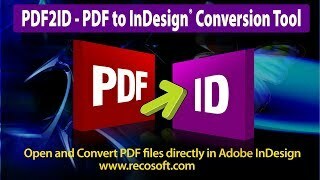 Click OK and PDF2ID starts batch converting the PDF files back to InDesign format. 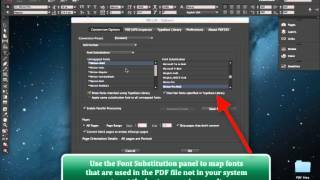 After a short amount of time all the PDFs of the lost InDesign files were converted back. 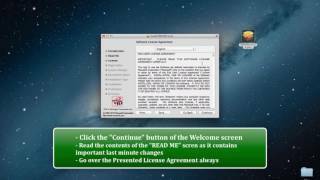 Not only that, but PDF2ID did a great job in maintaining the layout; creating fully editable InDesign documents ensuring that everything is well structured with the text, vector graphics and image assets all in place! There was absolutely no need to create things from scratch and trying to re-source any of the data. How easy was that? 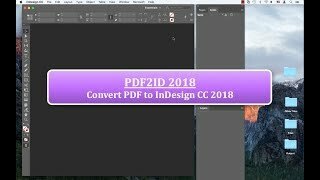 So, if you have corrupt InDesign files or even lost the original InDesign files but have the PDF of them; simply use PDF2ID to convert them back to InDesign! 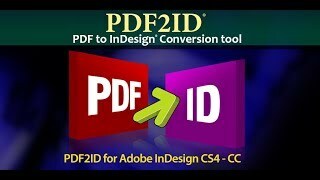 PDF2ID works on both the Mac and Windows and supports InDesign CS4 to CC 2017.